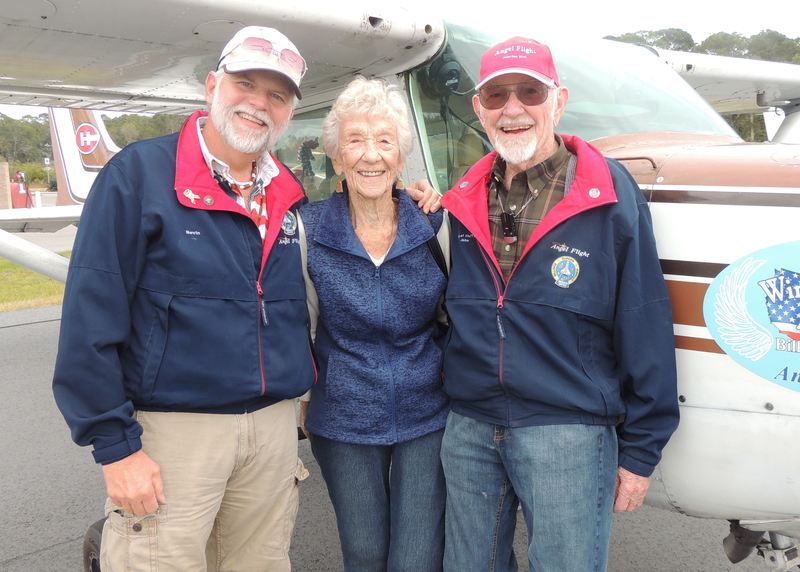 Today we departed home base Luray at 8:00am headed for Hilton Head Island SC to pick up Captain Johns sister Barbara to bring her back to Virginia for Thanksgiving ! After our greetings, getting some fuel, taking some pictures and doing the things a Pilot needs to do after being 4 hours in the air we said goodbye to Edie and departed Hilton Head Island on runway 3 headed back to Virginia. Our flight time down to Hilton Head was 4.1 hours covering 383 nautical miles over 3 States. Our flight back to Virginia at 9000 feet was very smooth with a very nice tailwind component of around 35 knots, which gave us a ground speed that averaged around 180 mph ! (on our descent back into page valley we exceeded 200 mph !) This was a very nice change from our slow flight down and made our time getting back home much more comfortable. Arriving back at home base Luray we made a visual approach and landed on runway 22 with fairly strong gusting winds of around 18 knots. Total flight time flying back home from Hilton Head Island was 2.8 hours covering 403 nautical miles over 3 States. Total flight time for the day was 6.9 hours covering 786 nautical miles. After tucking 49Bravo back into her hanger we enjoyed a nice hot cup of hanger coffee with Barbara along with some yummy homemade cookies that she had made ! (So good to see Captain John and his Sister being able to spend time together over Thanksgiving !) After finishing our coffee, we departed on one of the most dangerous parts of our day….. the drive home ! We will be flying Barbara back home to Hilton Head Island on Sunday the 26th. Thanks for Viewing and feel free to leave comments ……. We love them ! Thank you for sharing your flights! Wish you all a very Happy Thanksgiving! So glad your sister can be with you for Thanksgiving-she has a great smile just like you do Captain John! And thank you Nevin for great pictures! God bless!